Further to our conversation this morning, I would like to confirm that you are able to carry out a house clearance at the property in South Shields. As discussed you will forward any items that are suitable to various charities and then dispose of the remainder. I confirm the property in a one bedroomed bungalow, in good condition and un-cluttered, there is also an outside garden shed that is full with garden tools. 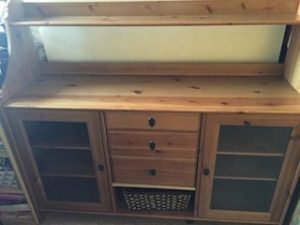 A large solid pine sideboard, having a large shelf above one cupboard to either side of three central drawers. 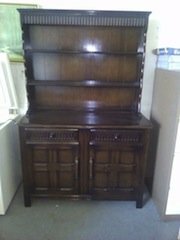 A tall vintage solid oak Welsh dresser, having two plate shelves above two drawers and two cupboards. 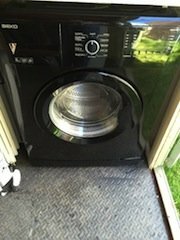 A black under counter, Beko 1200 spin washing machine. 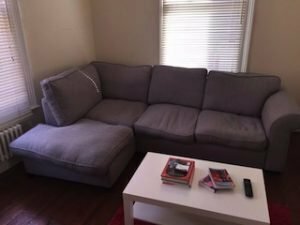 A four seater high back right hand corner sofa, upholstered in grey fabric. A tall standing chrome shelving unit, having five glass shelves. A solid pine tall kitchen trolley on castors, having one drawer above two wire baskets. 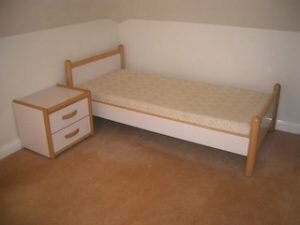 A single white pine bed frame and matching chest of drawers, together with a single mattress. 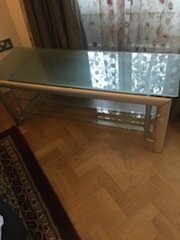 A large chrome and frosted glass, rectangular television stand, having two shelves. 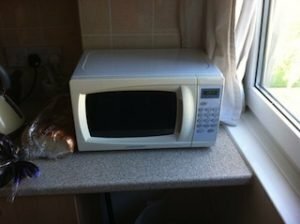 A white Cookworks, counter top 20L microwave oven. 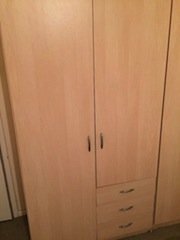 A tall standing solid wood double wardrobe, having three small drawers to the right side. 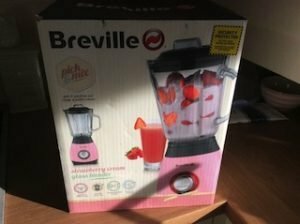 A brand new boxed, Breville strawberry cream glass blender. A solid wood rectangular dining table, together with three matching chairs, upholstered to the seats in faux leather. 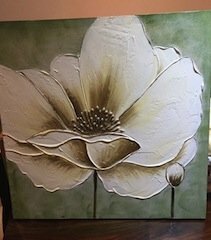 A large square canvas, depicting a white orchid against a pale green ground. 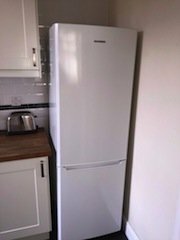 A tall standing white, Samsung double fridge freezer. 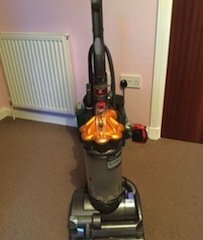 A space grey and yellow, Dyson DC27 upright vacuum cleaner. 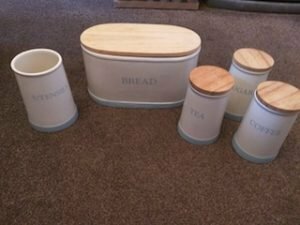 A ceramic and pine kitchen canister set, to include a large oval bread bin, a utensil holder and tea, coffee and sugar canisters.